iPhone 11 is in the news for quite a while now due to a series of leaks and rumours. Here we are going to talk about all we know so far about the iPhone 11 and the whole iPhones 2019.
iPhones 11 or iPhone XI 2019 launch is still months away, but leaks relating the new iPhones have caught some pace in the last couple of months or so. Reports have highlighted that as part of the iPhones 2019 lineup, Apple will be launching the iPhone 11 or iPhone XI along with the iPhone XI Max and iPhone XR successor. The iPhone XS and iPhone XS Max were launched in September last year while the iPhone XR launched in October 2018. On the other hand, the iPhone 8 and iPhone 8 Plus were launched in September 2017 while the iPhone X launched in November 2017. For the iPhone 2019, especially the iPhone 11 or iPhone XI, Apple is once again expected to take centre stage in September this year while there has been no official confirmation from the company. According to a report by Bloomberg, Apple is expected to keep the iPhone 11 prices same as that of the iPhone XS due to the lacklustre response this year, and same goes for the whole iPhone 2019 lineup. Apple is unlikely to change the overall look of its iPhone 2019, and while it is expected to launch a smaller and a bigger premium smartphone, alongside a cheaper version, they are expected to look identical with shiny metal, a display, glass protection while also continuing to sport the display notch at the front. The biggest so far has been the new camera system for the iPhone 11 which will feature a triple rear camera setup. Reports have highlighted that the third camera sensor will be used to capture more light, depth data, while also enabling wide-angle images and giving an option to improve the quality after the picture has been taken. There might also be a touch of augmented reality (AR) which will act as a base of next-gen iPhones in 2020 which are expected to sport a 3D camera as well. It is also rumoured that the bigger display variant of the iPhone 11 will get the triple rear camera setup for now while the conventional iPhone 11 will get a dual rear camera setup which will be aligned horizontally at the centre of the back panel instead than being placed on the top left corner. 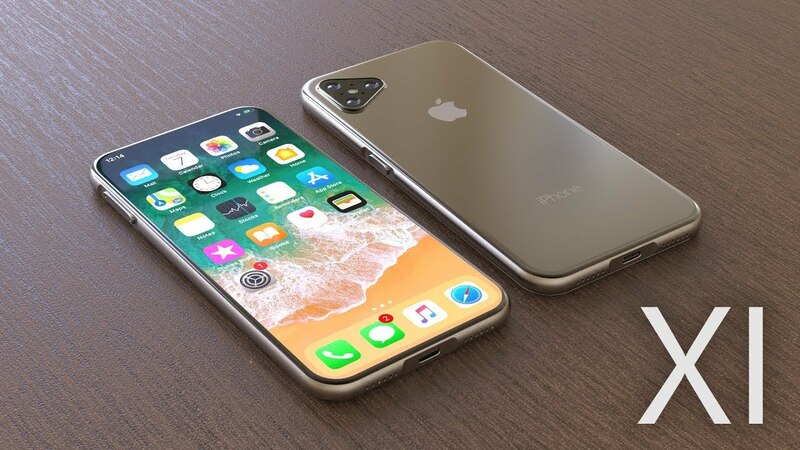 On the other hand, the iPhone 11 is also expected to become the first smartphone from the company to ditch the lighting port in favour of USB Type-C support while a report by Bloomberg has said that iOS 13 will also debut with the iPhone 11 and will offer a new wide dark mode, new iPad-specific features, CarPlay improvements and more. Other than that, 5G support and a new LCD version for the iPhone 2019.